Made with opaque, heavy-duty nylon material, the EZ-ACCESS Wheelchair Back is perfect for shopping or having craft projects in an easily-accessible place. 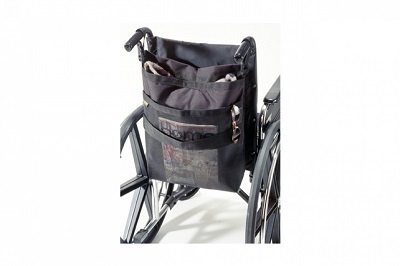 Can be easily attached to the back of the wheelchair by simply placing the adjustable straps over the handgrips. Available in black.